TwinSpires Blog: Will I’ll Have Another Win the Triple Crown? Will I’ll Have Another Win the Triple Crown? I’ll Have Another’s Triple Crown quest has become downright Shakespearean: it is to be or not to be. Of course, the racing fan side of me — my left side as it turns out — desperately wants to see history made in Elmont, NY on Saturday. Yet, the value bettor side of me is screaming for an upset. Let’s be clear: I’ll Have Another will be an underlay this weekend. Given the inevitable souvenir ticket purchases — you can even buy them online — he almost has to be. 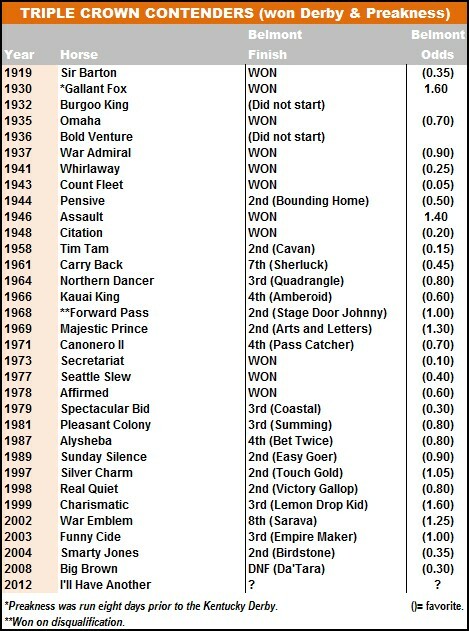 Plus, as we’ve seen in years past, when a Triple Crown is on the line, rational betting often takes a leave of absence. There have been 30 horses that came to the Big Apple in search of eternal glory — almost all of them were bet like they’d already achieved it. 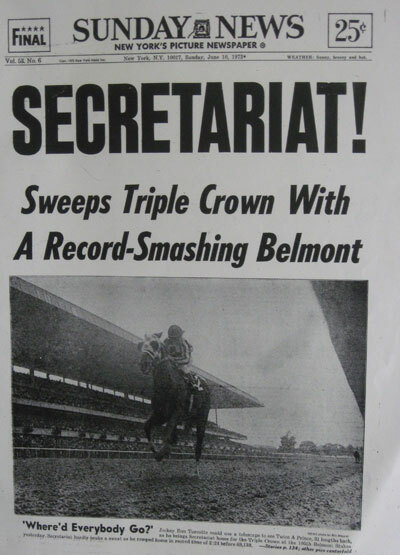 The last winner of the Kentucky Derby and Preakness not to be favored in the Belmont Stakes was Assault in 1946… and he wound up winning the Triple Crown. 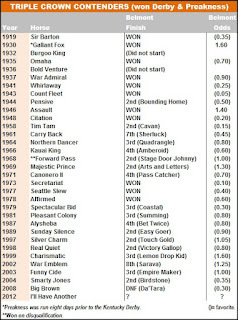 Still, as the chart below reflects, a $2 win bet on all of the Triple Crown hopefuls in the Belmont has produced an ROI of -41.5 percent, including a -78.42 percent ROI over the past 50 years. Will I’ll Have Another stop the bleeding? My heart says yes, my head says no. Click HERE for a free Pace Profile Report for races 6-11 from Belmont Park on Saturday, June 9, 2012. FYI, the race is the BELMONT Stakes in Belmont, NY, you need to correct your copy here. You would think so, wouldn't you? But, no, Belmont Park is located in Elmont, NY. Ha, ha. You should see me in total darkness -- I look even better!